Not my idea of buying a phone. But if you are in a mood to share juice, then Huawei's Ascend Mate 2 might just be your answer. It is so big (it comes with a 4050 mAh battery) that you can actually connect another phone to it and get it charged. The Ascend Mate 2 features a 'reverse' charging facility, allowing it to charge other devices. Huawei's Ascend Mate 2 - The battery stores 3 times the amount of energy stored in an iPhone. Huawei, China's largest cellphone manufacturer, is releasing a phone that can be thought of as the inflight refueling system of the mobile world: it can be used to recharge other phones. 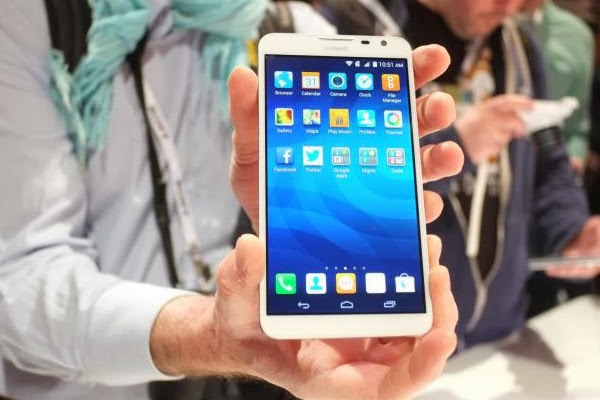 The Ascend Mate 2 has a 6.1-inch screen, making it more than twice as big as an iPhone 5. It's almost the size of a tablet, giving rise to the half-joking term "phablet." It's the successor to a phone of the same size launched last year. The huge size of the Ascend Mate provides space for a large battery, with roughly three times the amount of energy stored in an iPhone battery. Huawei claims it will last for 3.5 days of "normal" usage, or half that for heavy usage. Through a USB port, this battery can be used to charge smaller phones. If all you want is a long-lasting smartphone battery, this is the deal. TheGreenMechanics: Now, that's what I call a 'phablet'. Move over Samsung Mega!